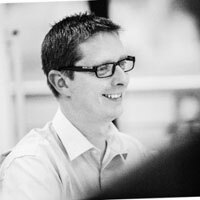 As eNerds’ Chairman, Jamie is responsible for the company’s direction and innovation strategy. He co-founded eNerds in 2000 and has lead the company to achieving the BRW Fast 100 from 2008-2009, CRN Fast 50 from 2009-2012, becoming a finalist in the ARN IT Industry Awards 2009-2016 and winning SMB Partner of the Year in 2015 & 2016 and being ranked as a Top 501 MSP in the world from 2011-2016 by MSPmentor. 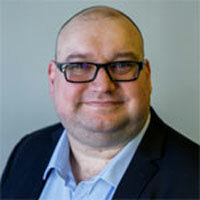 Jamie is passionate about innovating and improving the way IT services are provided to Small to Medium businesses and has lead the development and innovation of eNerds suite of award winning IT Support Software, NerdSuite. 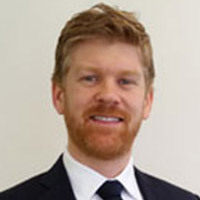 Jamie holds a Bachelor of Business (Honours) degree and served on the board of the Entrepreneurs Organisation (EO Sydney) from 2012 and was Chapter President from 2014-2015. As eNerds’ chief executive officer, Tristan is responsible for eNerds’ day to day operations, technology direction, as well as leading our client’s technology strategy. He co-founded eNerds in 2000 and has helped the company grow from a start-up in 2000 to 40+ staff and offices in Sydney, Melbourne, Brisbane and Sri Lanka. Tristan is passionate about disaster recovery and cloud technology and has pioneered eNerds cloud strategy and execution encompassing services such as Infrastructure-as-a-Service (IaaS), Google Apps, Microsoft Office 365 and Symantec.cloud. Tristan holds a Bachelor of Business degree and a Graduate Diploma of Psychological Sciences. He also served on the board of Lindfield Rugby Club from 2001-2009 and was President from 2006-2008. As General Manager of Sales and Advisory, Sam is responsible for driving the growth of the business and the strategic management of all aspects of sales, marketing and the associated team. 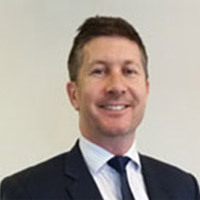 Since joining eNerds in 2011 he has lead the company’s growth and national expansion to Melbourne and Brisbane and contributed to an annual average growth rate of 15%. 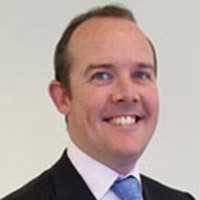 Prior to joining eNerds, Sam was Sales Manager at Fuji Xerox from 2004-2011 and was an IT Manager at The Four Seasons from 1999-2004 with notable IT projects implementing and supporting Windows, Citrix, Lotus Notes and liaising directly with SOCOG during the Sydney 2000 Olympic Games. Sam was a finalist and Highly Commended at the ARN IT Industry Awards in 2012 & 2018 for Sales Excellence. As General Manager of Technical Operations, Greg is responsible for our technical team and the proactive management and implementation of all client systems and infrastructure. Since joining in 2011, Greg has been integral to the growth of the company and responsible for overseeing the R&D and completion of our network management systems and suite of innovative IT support software, NerdSuite. A 20 year industry veteran, prior to joining eNerds Greg was the ICT Infrastructure Services Manager for Pretty Girl Fashion Group from 2007-2011 and previously spent 7 years as the Director of Infrastructure and Applications Development at InfoSec Solutions providing consulting, project/programme management and ICT security services to diverse clients like Telstra, QANTAS, Hoyts, PBL, Avant Insurance, Institute of Chartered Accountants and many local, state and federal government departments. Greg holds numerous industry certifications and accreditations from a number of our partners including Microsoft, Symantec, Fortinet, McAfee and Checkpoint as well providing technical training, course delivery and conference/event presentations. Greg was a finalist at the ARN IT Industry Awards in 2014 for Management Excellence and a Finalist in ARN’s Emerging Leaders Forum in 2016. As General Manager of Client Success, Sean oversees and is responsible for the end to end service delivery of client services, pre-sales and account management for our clients. Sean’s objective is to ensure all of our valued clients get a successful business outcome from engaging with eNerds services. Sean is an industry veteran with strong experience in engineering, advisory, consulting, sales and project management with over 10 years experience. Sean has a Bachelor of Applied Science (B.A.Sc. ), Information Technology. Aside from his strong interest for technology Sean also has a passion for snowboarding with his favourite resort being Silver Star Mountain Resort in Canada.